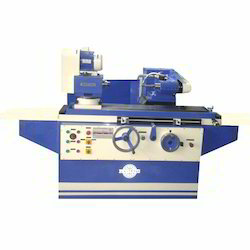 Offering you a complete choice of products which include heavy duty hydraulic bore grinding machine, hydraulic internal bore grinding machine, internal bore grinding machine, id grinding machine and bore grinding machine. 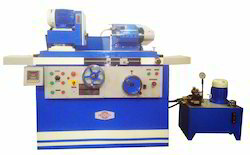 We are offering a wide range of Heavy Duty Hydraulic Bore Grinding Machine. Our unique portfolio of equipment and after sales services by qualified and experienced engineers. When it comes to designing and testing of machines which goes far beyond our IS: 2368 - specifications, test certificates and operating manuals. 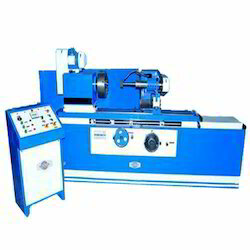 We are offering a wide range of Hydraulic Internal Bore Grinding machine. Main Slide is hydraulically operated by a reputed hydraulic cylinder. In-feed resolution 0.001 mm through micro feed attachment. 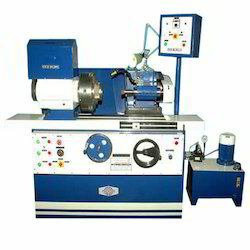 We are offering a wide range of Internal Bore Grinding machine. When it comes to designing and testing of machines which goes far beyond our IS: 2368 - specifications, test certificates and operating manuals.We have a customer specific approach.Our unique portfolio of equipment and after sales services by qualified and experienced engineers. 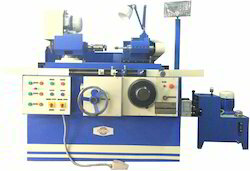 We are offering Hydraulic Bore Grinding Machine. Main Slide is hydraulically operated by the reputed hydraulic cylinder. An inbuilt electrical control panel board having all reputed components. Automatic Lubrication on a main movable slide by flow control valve. LM Guideways fitted on the cross slide.